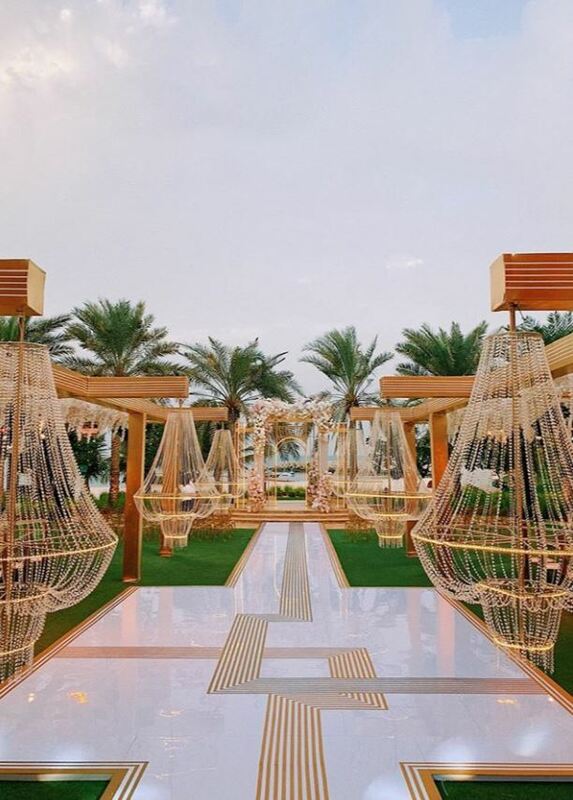 A BERTA bride wedding of dreams at the Four Season Resort Dubai at Jumeirah Beach. 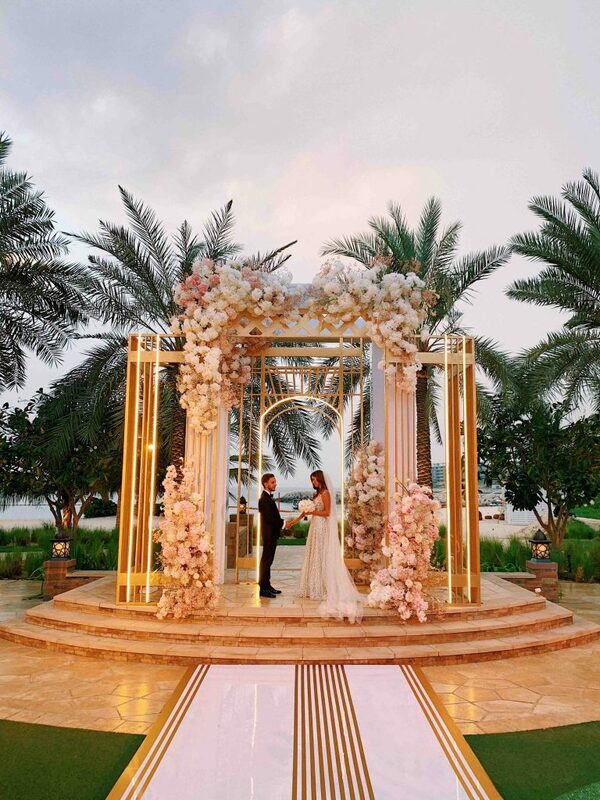 All the glitz and glamour in the fabulous and luxurious city of Dubai for this very special wedding. We are in love with all the extravagant details and this BERTA bride looked beyond perfect! 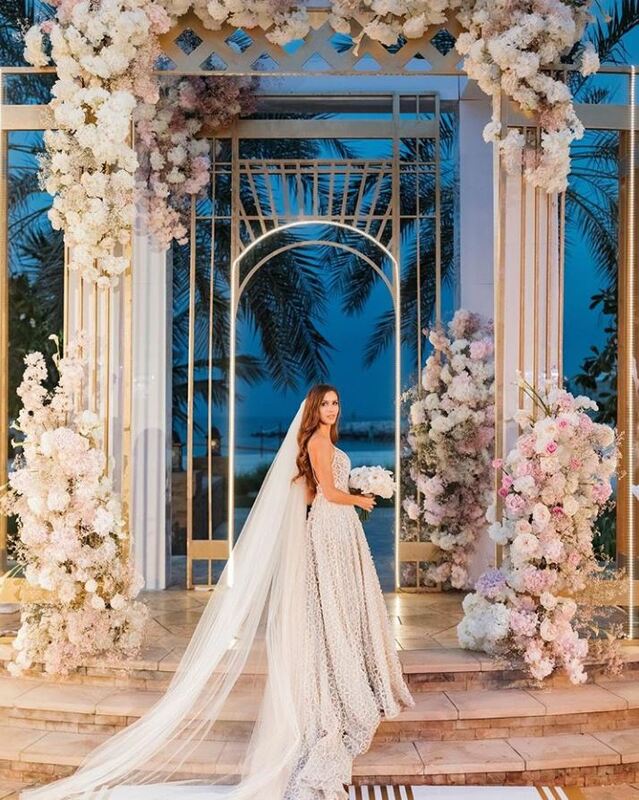 Stunning real BERTA bride Liza Dreval wore style # 18-110 from the Seville collection. A completely glistening gown with a sparkly fabric detail that can be seen from every angle. She looked like a true vision on her wedding day! 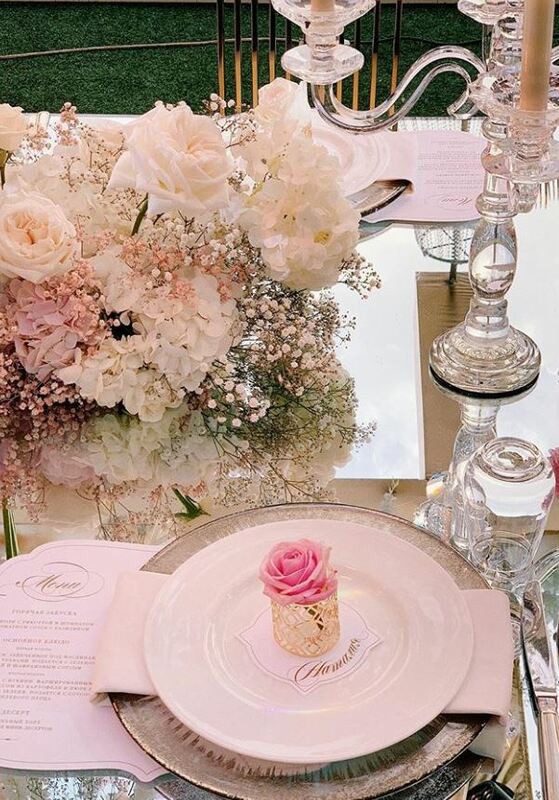 With the help of our Moscow retailer, Christi Wedding, Liza was at ease during the process. 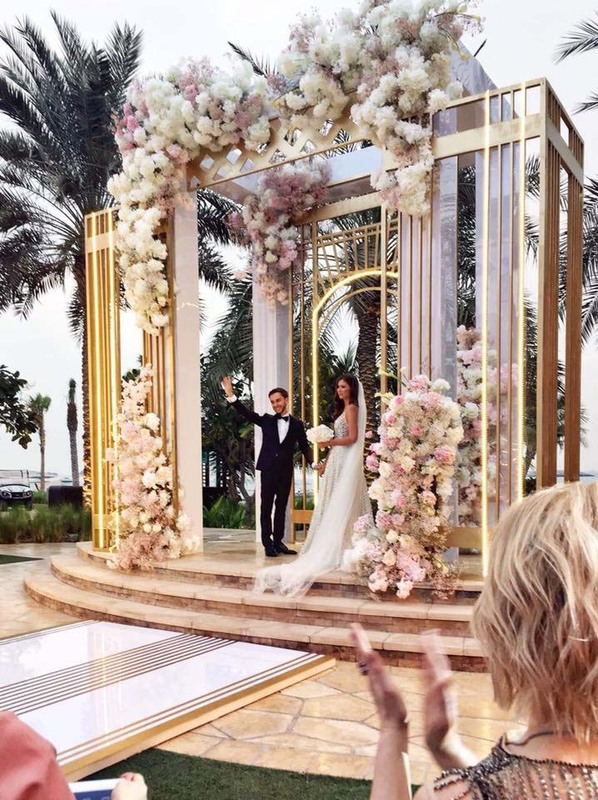 Their wedding day was shared all across social media and was a true standout on the BERTA page with an increasing amount of more than 1 million views! 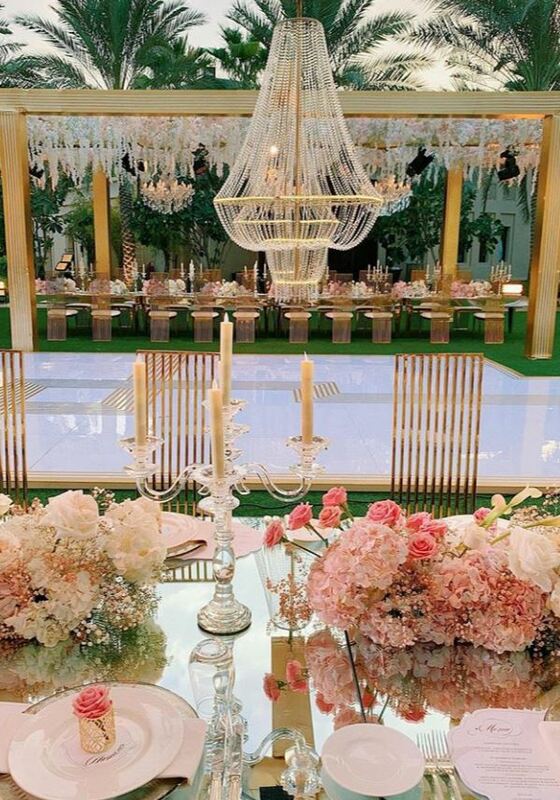 This was truly the wedding of the century.